Monday, the New York Times looked at the legality of Airbnb in New York City. The article’s title, “The Airbnb Economy in New York: Lucrative but Often Illegal,” neatly sums up the situation (as good headers often do): many New Yorkers are earning needed income from Airbnb, but in doing so are depriving the state of needed tax revenue.BlackBook Magazine’s Harom Lea, who “loves all that is Airbnb,” nevertheless shares a few horror stories: like that of two women in Stockholm whose renters turned their home into a pop-up brothel. If you can get past the possibility of your bathroom being converted into a meth lab though (another true story), there’s money to be made,as the business press points out. Forbes’s delves into how owners of a second home can use Airbnb to profit from it. Likewise, in “Secrets of Running a Six-Figure Airbnb,” Fast Company explains how homeowners can earn extra income by putting up travelers. Executive summary: to make money from Airbnb, it helps to own multiple properties. Used Airbnb to either rent your home or book a room? Share your experience in the comments. 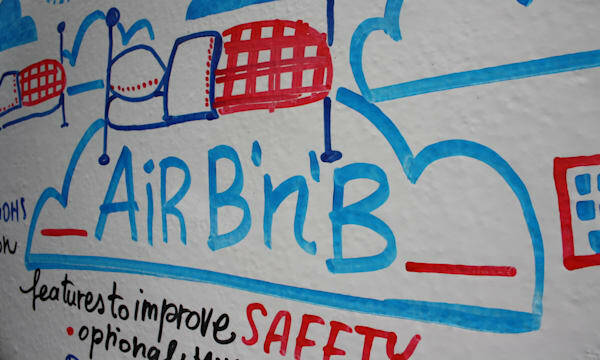 Airbnb has been the subject of a recent spate of legal fire in New York City. The New York Attorney General, Eric Schneiderman, subpoenaed the guest-hosting company recently for data on its 15,000 NYC users. 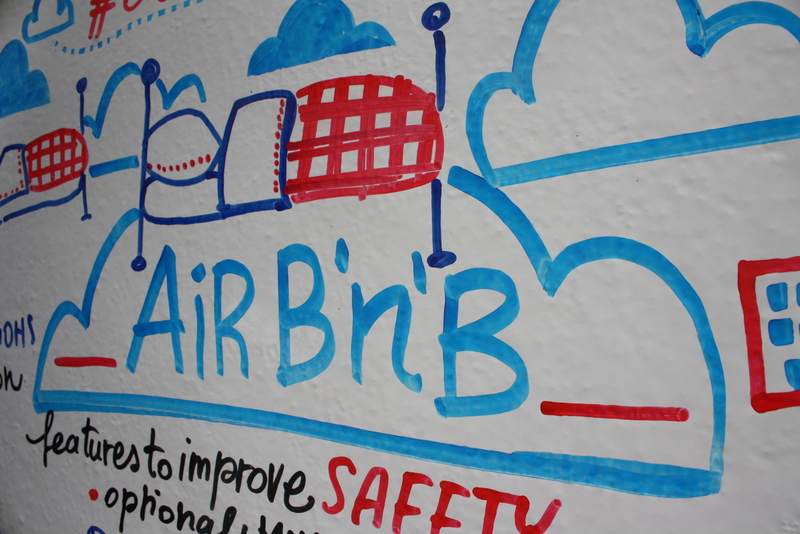 Airbnb refused to meet those demands in an attempt to protect its users’ private information. According to Airbnb’s CEO Brain Chesky via the NY Post, tourists who stay in NYC through Airbnb, as opposed to more conventional accommodations, spend more money. I recently wrote 10 Ways To Be A Terrible Airbnb Guest for Gadling. For all of the Airbnb hosts out there who found themselves nodding in agreement with the atrocities committed by some guests, well, it goes both ways. Making sure you avoid being a terrible guest is just as important as making sure you avoid being a terrible host. And so I present to you 10 ways to be a terrible Airbnb host (avoid doing the following to be a good host). 1. Lack scheduling/time-management skills. If you want to make a profit off of your living space, you’re going to have to figure out some way to organize your brain. Don’t make guests wait for you if they need to check in, don’t double-book guests in the same window of time and don’t book guests for dates you’ll need to cancel. Use the Airbnb Calendar, Google Calendar, iCal and iPhone Calendar all together if you have to in order to get it right, but whatever you do, don’t inconvenience your guests over your inability to properly plan.2. Expect guests to pay for a dirty space. It’s amazing to read Airbnb reviews and general commentary to see where different hosts land on the cleanliness scale. Maybe working as a travel writer and spending lots of time in lots of hotels gave me an upper hand with my previous hosting, but to put it simply, you should go above and beyond. Maybe you won’t get tons of complaints, but you deserve them if food is rotting in your fridge, the sheets and towels you provide aren’t clean, the bathroom sink is covered in hair and you’ve never taken the time to mop. At the very minimum, you should sweep, mop and clean all surfaces and common areas before accepting payment for renting your space. 3. Not provide food. Providing food for guests doesn’t have to be complicated. It can be as simple as having a couple of cereal options and milk around and letting your guests know it’s there for them. To be a terrible host is to not have any food around at all. To be a great host is to have more than enough food around for all meals and to welcome your guests to it. 4. Make your guests feel unwelcome. Your guests know they’re in your personal space and most guests are going to be respectful of that. But it’s still your job to make them feel at home in your space. Don’t alienate your guests through rude or controversial conversation or potentially offensive habits (not everyone wants to see you walking around in your underwear). Take the time to warmly talk to your guests and get to know them. Let your guard down and they’ll let theirs down and everyone will have a better, more meaningful experience for it. 5. Misrepresent your space through photos. A lot of enhancements can be made to photos these days, but the biggest Airbnb photo crimes from hosts have little to do with manipulation in post and a lot more to do with the difference between what was physically photographed and what will be physically present at the time of the rental. If your floor was so clean that you’d eat off of it in your photos, it’d better be that clean when your guests arrive, too. If you feature fresh flowers and fruit in your photos, make sure you have fresh flowers and fruit around for your guests. If you rearrange or update furniture, take new photos and replace the old ones. Your photos should represent your actual rental as accurately as possible. 6. Fail to repair what’s broken. It doesn’t matter why your air conditioner broke or your wireless internet suddenly stopped working. If you’re offering these things to guests, they need to be available for guests, no matter what it takes. Your guests shouldn’t have any unfortunate surprises when they arrive at your rental. If they were planning on doing laundry with your washing machine, your washing machine needs to be working. If something suddenly breaks and you can’t fix it immediately, update your listing and send a kind note to your reserved guests explaining the situation ASAP and in the case of important malfunctions, reimburse part of the payment. 7. Disrespect the personal property of guests. Although guests are in your house, their personal property and space deserves to be respected. Don’t enter their rented room ever without knocking and only if necessary. Never go through their personal belongings. Never allow a pet or child to go through or mess with their personal belongings, either. Respecting personal belongings is always important, but it’s especially important with travelers — their personal possessions are all they have from home with them. If you need something moved, ask politely. 8. Run out of necessary items. There are some items that you should have a backup supply of around the house as an Airbnb host. Don’t ever run out of: toilet paper, paper towels, toothpaste, soap or shampoo. Make sure you have some of the less obvious things around, too — like salt, pepper, cooking oil and a first aid kit. 9. Fail to provide items your guest may need. Like I’ve already said, the best Airbnb hosts go way above and beyond. Terrible Airbnb hosts never go above and beyond; they never put themselves in the shoes of a guest. Having some extra things around for your guest that aren’t required but can truly enhance the experience of your guest will take you a long way. Consider adding these items to your regular inventory for guests: an umbrella, an iron and ironing board, a fan, a heater, a spare blanket, coffee and a selection of tea, alcohol of some sort, fresh flowers, snacks and bathroom items like cotton swabs, dental floss, a spare toothbrush, etc. 10. Do little to accommodate your guests. Airbnb basically states that hosts just have to have a clean space with clean sheets and towels and something around for breakfast. But if that’s as far as your ability to accommodate your guests extends, you might be a terrible host. Little things go a long way with guests. If they wanted to coldly be treated like just another customer, they probably would have gone to a hotel or a hostel. I’ve let guests in my house who lost their luggage borrow my clothes and I’d like to think that’s what anyone (of similar size) would have done. When another guest was going to the beach for the day, I packed her a beach bag with items she’d surely find useful, but hadn’t brought along for her journey (sunblock, bug spray, a sunhat, a tapestry, a towel, a bottle of water, etc.). No host wants a demanding guest on their hands, but on the flip side, no guest wants an unaccommodating host, either. Write down directions, lend out a charger, and by all means, if your guest seems lonely, consider inviting him or her out if you’re going out. Being well-mannered is not the same as being taken advantage of, so don’t confuse the two.